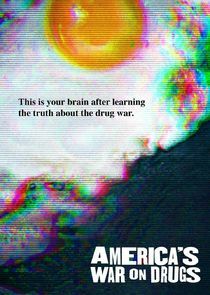 America's War on Drugs is an immersive trip through the last five decades, uncovering how the CIA, obsessed with keeping America safe in the fight against communism, allied itself with the mafia and foreign drug traffickers. In exchange for support against foreign enemies, the groups were allowed to grow their drug trade in the United States. The series explores the unintended consequences of when gangsters, war lords, spies, outlaw entrepreneurs, street gangs and politicians vie for power and control of the global black market for narcotics - all told through the firsthand accounts of former CIA and DEA officers, major drug traffickers, gang members, noted experts and insiders. The intertwining of the War on Drugs and the War on Terror transforms Afghanistan into a narco-state; American intervention helps give rise to El Chapo and the super cartels; the pharmaceutical industry becomes a supplier of addictive substances.